Thanks SO much for commenting! Your kind words are very appreciated and they make me wanna dance! Thanks, Sheila! I’ve got the art flowing finally! How cool! Thanks so much for sharing your blog with me. 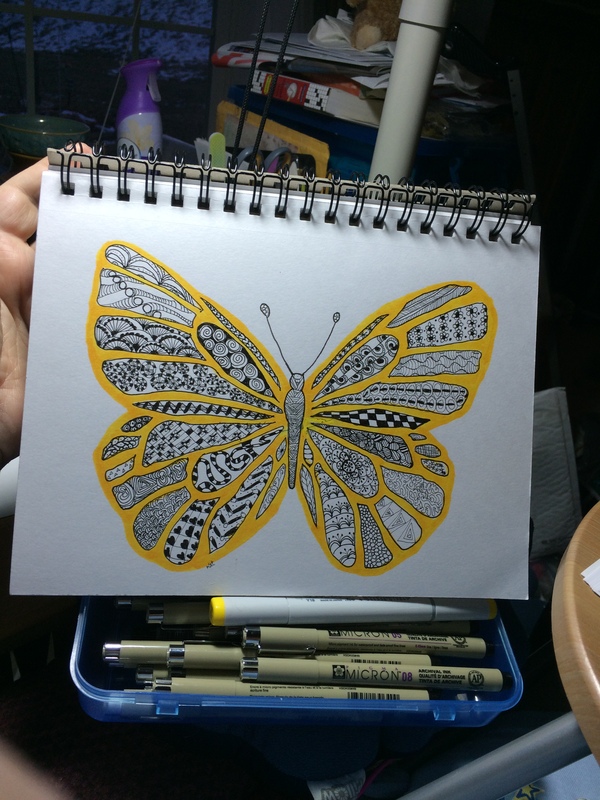 Did you draw the butterfly template freehand before filling in the tangles?